Brazil is Latin Americas largest market, the fifth largest country in the world in terms of population and seventh in terms of its economy. It is known for its diverse and colourful culture and natural wonders. In addition to its natural beauty, the region is home to an array of attractive commercial opportunities. Before jumping into operations, it is vital to have a sound understand of which legal structure best fits your business needs and requirements in Brazil. Continue reading to find out which are the most common legal entities in Brazil to start your company! The most common type of company is the Brazilian Limited Liability Company and has the form which resembles US LLC. The main point to keep in mind when looking into an LLC is regarding the limitation of responsibility of each shareholder. Each shareholder’s responsibility is limited to the amount of his or her assigned capital. However, it is important to note that all shareholders are liable for the payment of the initial corporate capital. No minimum or maximum capital is required unless the entity is involved in trading activities or hires foreign individuals as managers or directors. An LLC is incorporated through an Article of Association which needs to be registered before the Board of Trade. Two shareholders are needed, whether resident or not, and no minimum or maximum percentage of interest ownership is required. Nonresidents need to be represented by an individual resident in the country. “Limitadas” cannot be registered or sell shares in the stock exchange. The quota holder representing >75% of the quotas has the effective control of the LLC. A member cannot sell its shares without the approval of the other shareholders. Limited Liability Corporations are regulated by a specific law (“Lei das SAs”), and are considered as the closest form to US subchapter C corps. Corporations can issue different classes of shares (voting and non-voting). The shareholders’ liability is limited to the payment of the shares to which the shareholders have subscribed. It is important to note that foreign shareholders need a company legal representative in Brazil. This type of entity is ideal for larger companies looking to raise funds from the general public. SAs require at least two shareholders (individuals and/or legal entities, resident or not). Require at least two shareholders (individuals and/or legal entities, resident or not). Corporations can either be publicly traded (“Sociedade por Ações Aberta“) or closed (“Sociedade por Ações Fechada”), meaning the shares and securities will not be available to the general public. Regarding the corporation’s capital, it must be completely subscribed and 10% of it needs to be deposited in a bank in order to finalise the incorporation. A minimum of 5% of the annual net income needs to be put aside in a legal reserve until it reaches 20% of capital. The majority shareholder has control, meaning the minority shareholder can be the controller in the event of the other shareholders not attending the general meetings, not voting, and when the minority is part of a shareholders’ agreement. Corporations need to file their financial statements with the local commercial registry and publish them in the Official Gazette and a major private newspaper. A corporation also needs a Board of Directors (fiscal residents in Brazil or permanent visa) and an Administrative Council (can be foreigners not necessarily resident in the country). Silent partnerships are unincorporated organizations where two or more members take part in trade, business, financial operations or ventures, and divide profits. Silent partnerships are essentially used in real estate, reforestation projects, and hotel pooling. This type of legal structure has a specific aim, meaning that the company will last until the object of operations has been reached. One member, the “ostensible partner”, is in charge of the partnership’s management and operations, and is held responsible, joint and unlimitedly for the partnership’s liabilities before third parties. The partnership’s other members, the “silent partners” are only liable to the “ostensible partner” concerning the partnership’s obligations before third parties, and their amount of liability is limited to the “ostensible partner’s” quantity. Tax legislation in Brazil considers that silent partnerships are the equivalent of a corporate entity for the purpose of Income Tax. A consortium is the gathering of corporations of other companies with the aim of performing a determined operation or activity. Consortiums are unincorporated entities where two or more members take part in trade, business, financial operations or ventures, and share profits. Partners’ joint liability does not come into account as each partner is responsible for his/her own obligations, according to the consortium agreement. This agreement will define the organization role of each consortium while establishing each partner’s rights and obligations. The agreement should mention the following elements, but not only: the assignment of the consortium, companies part of the consortium, duration, address and jurisdiction, and liabilities and responsibilities of each partner. The agreement needs to be filed with the local Board of Trade based in the same jurisdiction of its main office. As the consortium is not a corporate entity as such, it is not regarded as a taxpayer. EIRELI is the ideal legal structure for individual entrepreneurs, with 100% individual ownership permitted. EIRELIs are the most commonly used legal entity by individual entrepreneurs. The paid-in capital should be a minimum of 100 times the current minimum wage. Each shareholder’s responsibility is limited to the amount of his or her shares. However, it is important to note that all shareholders are liable for the payment of the corporate capital. Interestingly, only individuals can be shareholders and each individual can only incorporate one EIRELI. However, only Brazilians or foreigners with a permanent residency are authorized to create an EIRELI. DID YOU KNOW: A single individual shareholder holding 100% of the paid-in capital can incorporate a EIRELI. 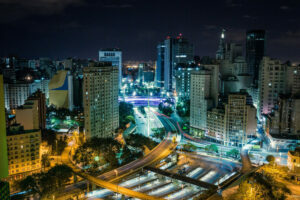 A company may choose to establish a branch office in Brazil, yet it is more difficult as it takes about 6 months and the costs are higher than that of other legal structures. To be established, the company needs to operate under the same name as in the country of origin and must have a permanent and fully responsible company legal representative. To do so, the company must prove its legal existence, submit a copy of articles of incorporation, a list of shareholders, its latest balance sheet and a copy of the resolution to open a branch in Brazil. A certain amount of capital should be allocated to the branch. All documents which are submitted must be notarized, certified by a Brazilian consulate and officially translated. Remittances of profits are exempt from withholding tax. A special authorization is required to open a foreign company branch – this authorization can be issued by the Ministry of Development, Industry and Trade. A foreign branch office can only start operations when it has been registered, and its authorization and documentary evidence is published in the Diário Oficial and a local newspaper. Need more information regarding which type company is best for your business needs in Brazil? 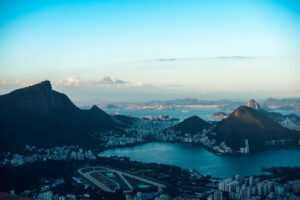 Thanks to the Brazilian authorities aiming to achieve fiscal sustainability and liberalize one of the most closed emerging-market economies, Brazil’s competitiveness has been strengthened and now provides a better environment for private sector development and companies who want to access its more than 200 million consumers. Choosing the right legal structure and setting up a company in Brazil can be a challenge, for this reason, it is recommended to work with a local partner. Get in contact with Biz Latin Hub; our team of local experts and professionals will support you and your business venture in Brazil, with tailored business services ranging from company incorporation, legal and commercial representation services to accounting and taxation support. Contact Bruno, our Country Manager, at [email protected] for personalized information.